Printing press business involves printing materials such as calendars, handbills, posters, jotters, writing pads, exercise books, textbooks, files, business cards, invoice etc. There are different categories in the line of business and this depends on the capital. Like in all business you are to satisfying the desire of your customers, to do so, you have to deliver quality printing services because the rate at which your customers are satisfied determines the rate at which your press would be successful. This business comprises of two groups, the Graphic Art and the Printing Press, now, the graphic art handles the part that deals with design, the printing press handles the other part of the business. This two groups goes side by side, having a good and skillful graphic designer that does this graphic designs gives you a good advantage. To satisfy your customer and to keep them coming you need to have good and qualitative printing paper, this is a very important factor of this business because it attracts customers to you. No one will know what you do if they are not told, that means you need to advertise your business to the public, and there are different ways you can do that. Through handbills, words of mouth, that is moving from offices to offices letting them know you can handle their printing job. Our sample Printing Press Business Plan in Nigeria can be used to access bank loans, proposal writing and grant applications. The business plan was complied after a thorough feasibility study on Printing Press Business in Nigeria was done. 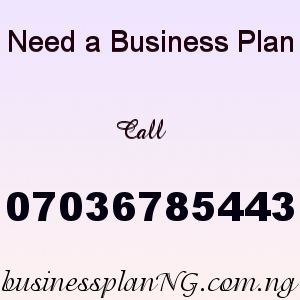 After payment text your name, send a text of your e-mail address to 07036785443 and you’ll receive your PRINTING PRESS BUSINESS PLAN / FEASIBILITY STUDIES REPORT.